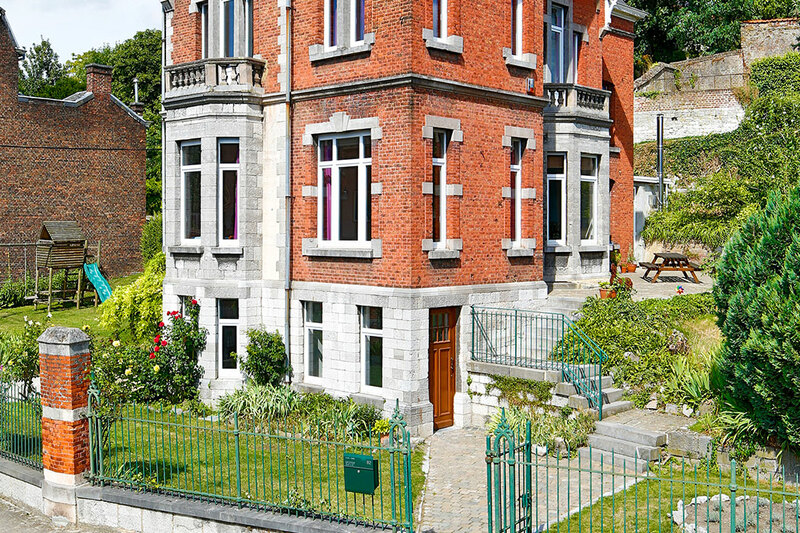 The Villa Léanne has been built in Namur by architect Frédéric Léanne in the 1920s. 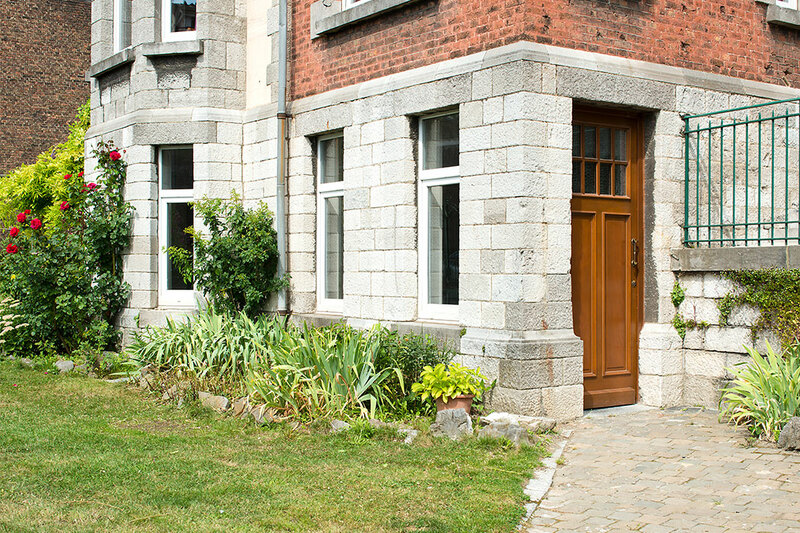 It is located in a quiet and charming area, at only a few minutes on foot from the train station and the city center of the Walloon capital. The house has a garden with view on the citadel. 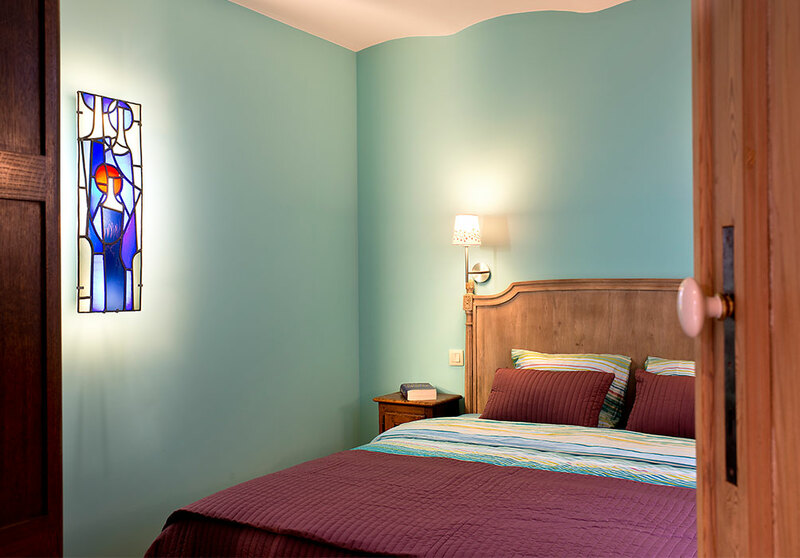 The « gîte » Villa Léanne is a nicely decorated and fully equipped flat. It is located on the ground floor, independent and accessible by a separate entrace. It is intended for a single person or a couple. 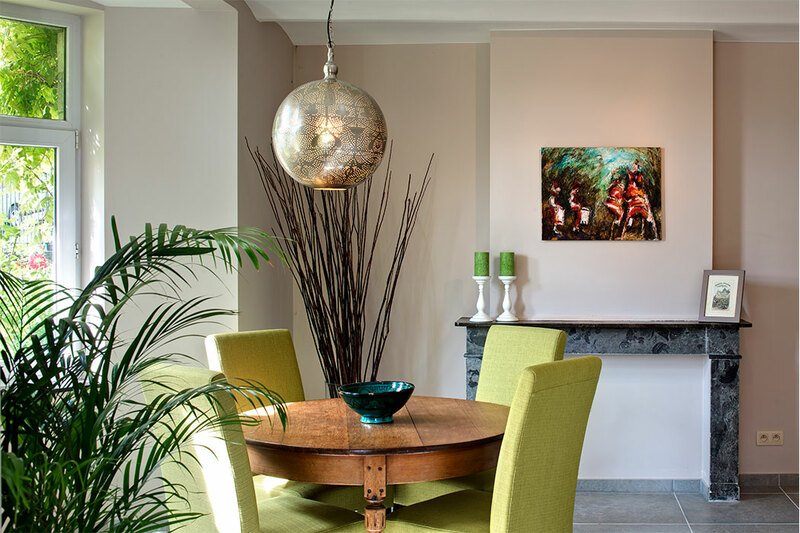 We welcome you personally to discover a furnished apartment of 50 m² for a single person or a couple. 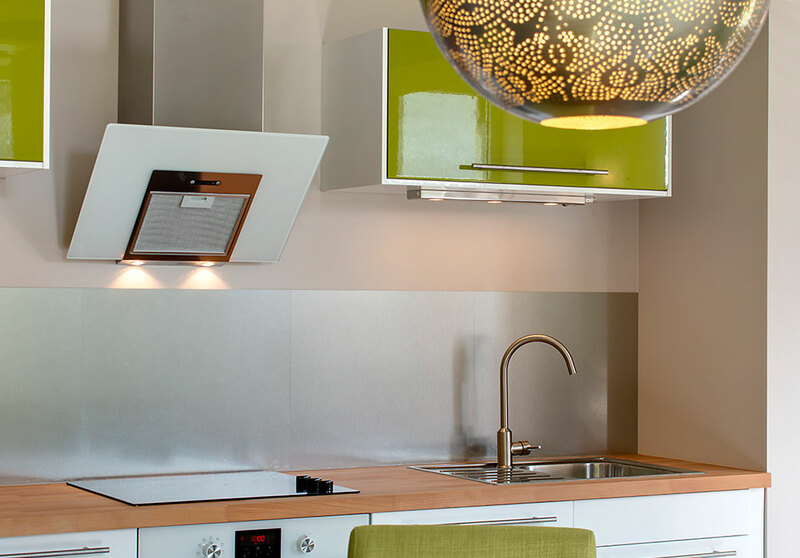 You will find all the necessary comfort, starting with a kitchen equipped with ceramic plate, conventional oven and microwaves, fridge and Senseo coffee machine, as well as all the necessary to cook. The kitchen is next to the dining room with a round table. 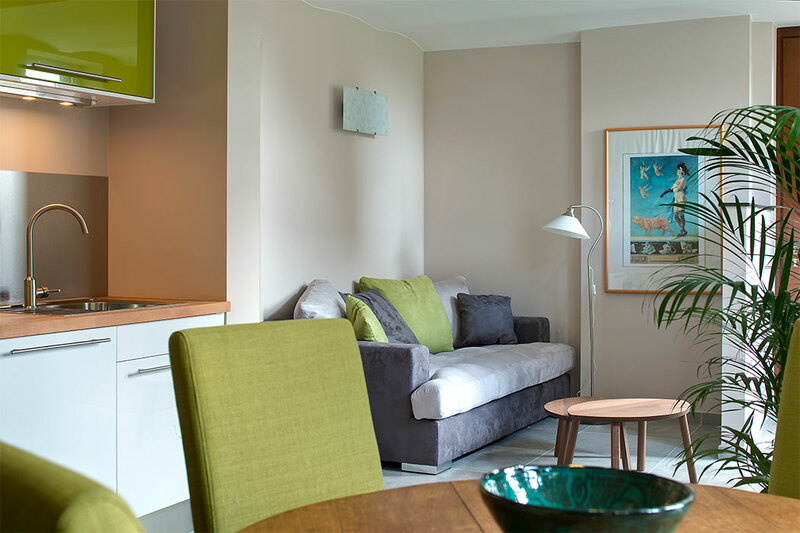 Relax in the living room with 100 cm flat-screen TV or in the private garden in front of the cottage. 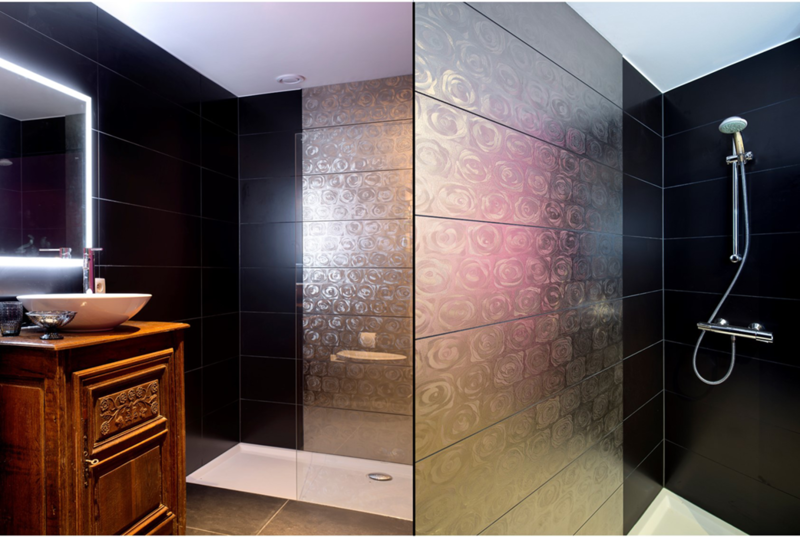 The bathroom has a sink, a toilet and a walk-in shower, while the bedroom has a double bed (160 cm wide), a wardrobe and a desk. You have a private parking if necessary and the garage is at your disposal to store bicycles (and recharge electric bikes). The cottage of course gives access to wifi and we prepare documentation in your language to facilitate your stay. Très beau gîte, spacieux et confortable, décoré avec goût et bien équipé, situé dans une rue très calme à proximité de la gare et du centre de Namur. les photos sont le reflet exact de la réalité, pas de mauvaise surprise ! Les propriétaires sont très sympas et discrets, nous reviendrons à coup sûr ! Merci Hilde et Bertrand ! We hebben echt genoten van ons verblijf in Namen. De gite is perfect! Super gezellig ingericht met alle nodige comfort en huiselijke sfeer. Ik was zelf weg van alle details die verwijzen naar de authenticiteit van Namen in de woning. Het boek van Christophe Deborsu was een aangename verrassing. Het heeft ons inspiratie gegeven voor ons verblijf. De eigenaars zijn prachtige mensen met een warm hart. Echt een aanrader voor wie de streek wil ontdekken! The cottage is available for a minimum of two nightings and for two person maximum. Arrivals are expected between 5pm and 8pm.